Since my undergraduate years, I have always been interested in the field of education. I received my BA in English from East China University of Political Science and Law, where I designed an independent research project for my BA thesis. By collecting survey and interview data from over 100 families resided in a hinterland village in southern China, I learned about local parents’ expectations for their children’s education, local girls’ severe obstacles of continuing their schooling, and how poverty and contemporary societal contexts influenced a boom of migrant workers from village to city in China. I first began my teaching experience as a volunteer teacher (grades 1-5) in the village. I then became a K-8 English teacher (teaching English as an additional language) at the affiliated schools of Shanghai Pei Ying College of Continuing Education, teaching English reading and writing classes to children of migrant workers in two urban districts in Shanghai for three years. Based on my research and teaching experiences in China, I realized the need to further my education within a more globalized world where migration and transnationalism have become the norm. Therefore, I came to the United States and completed my MA in Curriculum and Teaching (Elementary Education) from Columbia University while working as a full-time museum coordinator in an East Asian art and education organization located in New York City. In my doctoral studies, I sought to explore how multimodal, digital literacies could help expand school children’s reading and writing practices, particularly for children with multicultural, multilingual, and/or multi-technological backgrounds, who are minoritized in school curricula. I received my Doctor of Education (Ed.D.) from Columbia University in Curriculum and Teaching. I was advised by Celia Genishi, who is an expert in early childhood education, language in the classroom, qualitative research, and early childhood bilingualism; I was sponsored by Marjorie Siegel, who is renowned in researching multimodality, content-area literacy, and literacy education. Inspired by them, I combined my focus on children’s literacy practices with my passion in digital literacies that I gained from my research role at the Teachers College EdLab, Columbia University. 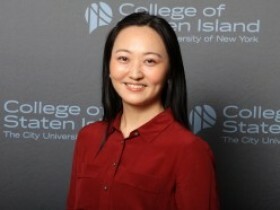 Beginning in Fall 2015, I began my appointment as an Assistant Professor in Curriculum and Teaching at the City University of New York’s College of Staten Island, School of Education.